The EUR/USD currency pair is moving according to the forecast, currently we should expect the price to grow to the level of 1.4572. 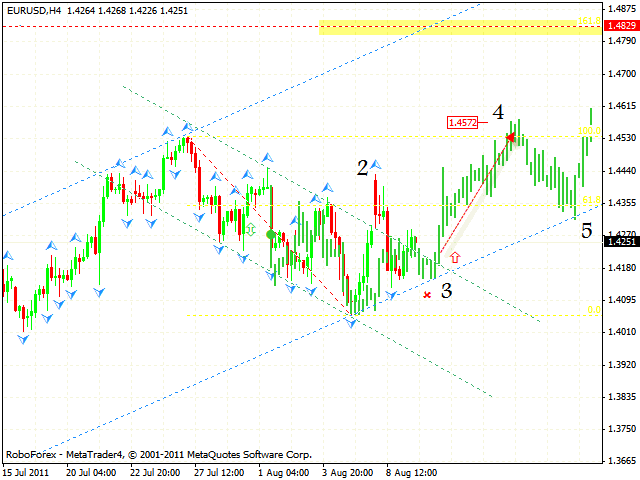 The farthest target is the area of 1.4829, one can consider buying the pair near the rising channel’s lower border. We may assume that the level of 1.4350 may be a starting point of a new wave of growth. The stop must be below 1.4095. Canadian Dollar keeps moving inside the rising channel, one can consider buying the pair near the channel’s lower border. 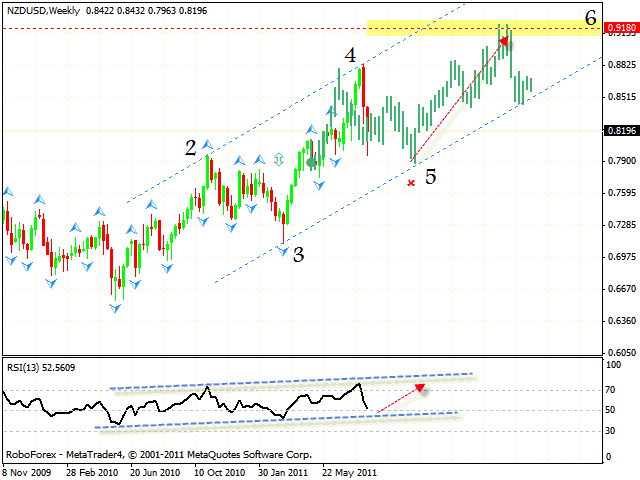 The price testing the trend’s rising line at the RSI is an additional signal to buy the pair. The target of the growth is the area of 1.0095. In the long term, New Zealand Dollar is expected to grow into the area of 0.9180. The price is moving inside the rising symmetrical pattern, one can consider buying the NZD/USD currency pair near the level of 0.7900. 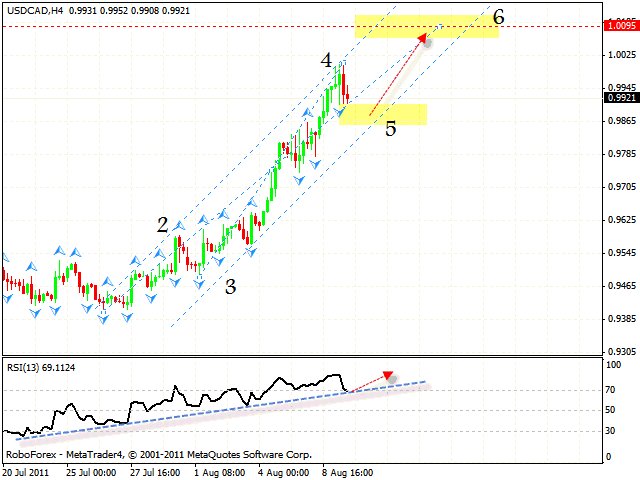 The price testing the trend’s rising line at the RSI is an additional signal of the growth. But if the price breaks the rising channel’s lower border and leaves it, this case scenario will be cancelled. Australian Dollar is also moving inside the rising pattern, we should expect the correction to be finished in the area of 0.9650. 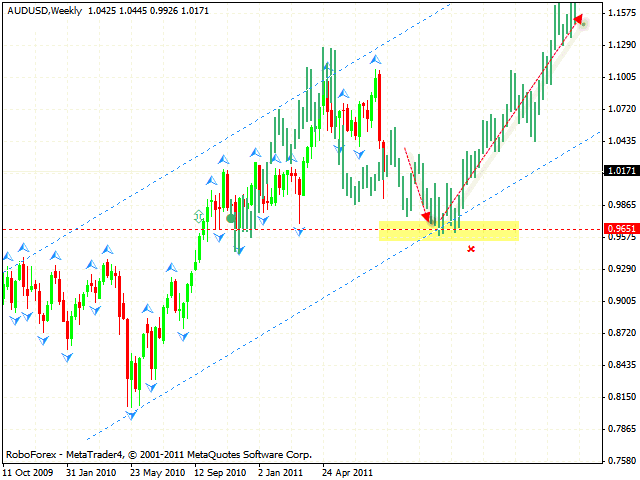 This area may be a starting point of the growth, the closest target of this growth will be the area of 1.1575. But if the price breaks the level of 0.9575, this case scenario will be cancelled.